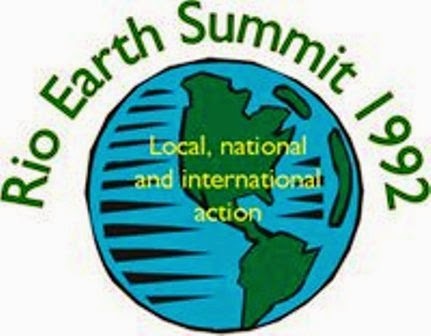 This is a list of 27 guiding principles for sustainable development throughout the world, produced at 1992 United Nations “Conference on Environment and Development” (UNCED), also known as the Earth Summit. The principles focus on long-term sustainable growth and indicates that environmental protection is a must. The declaration was signed by 170 countries during the summit. The implementation of these principles was assessed by international community twice, in United Nations General Assemblies in New York, 1997, and in Johannesburg, 2002.